This panel session brings together the key players in the design of the world’s new global mega-hub, Istanbul Airport, alongside the airport leaders now responsible for its operation. 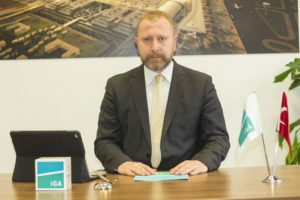 Since the award of the tender in May 2013, İGA and its team have designed and built, and are now operating, the airport’s first phase with a capacity of 90 million passengers per year. A series of presentations and a panel discussion will take us from the airport’s initial masterplanning strategies into the design concepts and subsequent operations of the new airport. How will the masterplan meet the requirements for airport capacity in Istanbul? The global aviation sector is growing continuously and Turkey’s aviation sector is growing at an even faster pace by 10% per year. Atatürk Airport has reached its final capacity limit. This means that Istanbul needs this new airport, which is considerably bigger. 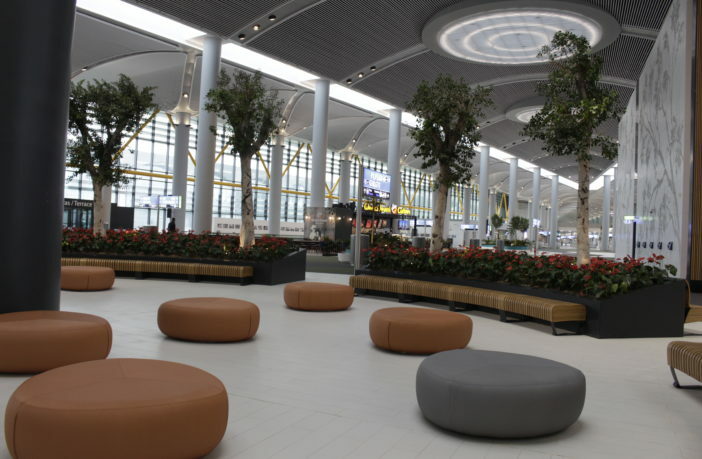 With Istanbul Airport, the aviation industry has got a whole new centre of aviation. 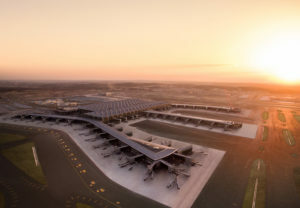 The new gateway into Turkey was built in less than four years on an area of 76.5 million square metres – almost 3.5 times as big as Peking Airport – and is designed for growth. Up to 90 million passengers can be handled in the first phase; ultimately, the airport will have a capacity of 200 million passengers per year and host around 150 carriers. Depending on further developments in the aviation sector, it can be expanded to up to 200 million passengers. With these numbers, Istanbul Airport will have the highest capacity of any airport in Europe and will be amongst the biggest airports in the world. We are expanding the airport in several phases. In Phase 1a we completed the main terminal building, two runways, an ATC tower and supporting buildings, and we are now in Phase 1b. This and the following phases include four more runways, Terminal 2 and the Satellite Terminal, two more ATC towers and supporting buildings. 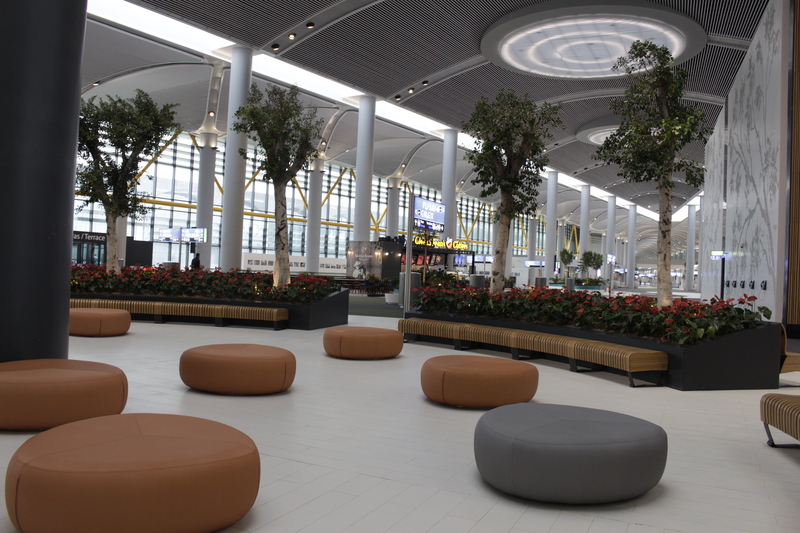 Istanbul Airport is designed to meet future demand. What are some of the key features passengers can look forward to? Even before the opening, the airport received numerous awards – especially for the design of the terminal – which spans a gross floor area of 1.4 million square metres and is the world’s largest airport terminal under one roof. The architectural design picks up the local use of colours and patterns. Vaulted roofs cover the piers, connecting to a series of modular grids that regulate the spaces. Skylights provide natural daylight. But we also aim to offer passengers an unprecedented experience in retail. Istanbul Airport will feature one of the largest and best-assorted duty-free sections in the world. 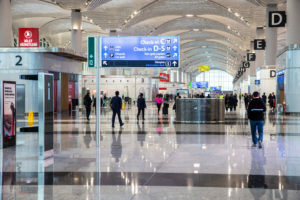 The second phase of the 53,000-square metre duty-free zone at Istanbul Airport opened on 15 January 2019 with five new shops, making it one of the world’s biggest travel retail areas. Over 1,000 domestic and international luxury brands are gathered under one roof, offering customers an unforgettable and extraordinary shopping experience. The design of the duty-free zone was inspired by the Bosphorus. The zone has seven different sections, the size of nine football fields side by side, consisting of ‘Fashion Garden, ‘Family Palace’, ‘High&Lux Hills: Fashion’, ‘High&Lux Hills: Jewelry and Watch’, ‘High&Lux Hills: Fashion and Accessories’, ‘Style Beach’ and ‘Icon Gulf’. Each section welcomes passengers with concept-related selective domestic and international brands offering a rich variety of products. It will be heaven for shoppers. 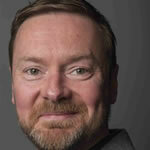 What technologies will underpin improved operational efficiency and a better passenger experience? 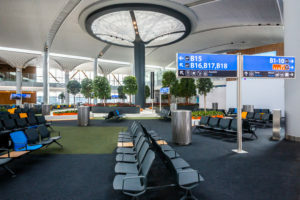 Istanbul Airport’s smart technology and IT connectivity is already outstanding and will set new standards. Robots, artificial intelligence, face recognition and similar features are in use. Beacon and geo-finding technologies which provide indoor directions, walking time to gates or boarding alerts are making the journey quicker and more enjoyable. A technology-driven bag-drop system enables passengers to check in their luggage quickly and easily. Waiting time at baggage carousels will be shortened. The 42 km-long baggage system, holding the capacity to process over 28,880 pieces of luggage per hour, ensures an uninterrupted passenger experience by bringing the baggage waiting period down to a minimum level. The EBS system (early baggage storage system), with a capacity of 10,800 pieces of luggage, makes it possible to store early arriving baggage, meaning Istanbul Airport is using the latest baggage store technology compared to other international airports. 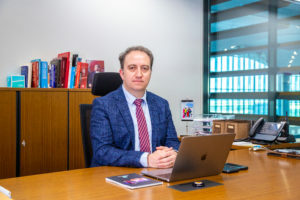 As a true hub of the 21st century, İGA Systems, infrastructure and IT provider for the new mega-hub, has developed a new mobile app which aims to provide a ‘stress-free’ experience for passengers. It offers features such as real-time journey information, indoor navigation, access to wi-fi and information on shops and food and beverage outlets, as well as detailed information on transport options. The app is available both on the App Store and Google Play. Mehmet Büyükkaytan, COO, Istanbul Airport/İGA, and Ismail Polat, CTO, Istanbul Airport/ İGA, will be part of the ‘Istanbul Airport – the new mega-hub from masterplan to operations’ panel discussion at this year’s Passenger Terminal CONFERENCE, which takes place during Passenger Terminal EXPO, 26, 27 and 28 March 2019, in London. Register here for your delegate pass.